I’ve had some busy weekends lately. On March 22nd, S and I completed the Donut Dash 10K in San Antonio, TX. While we were there for the weekend, we saw the new Cinderella movie. I thought it was great! I was pleased the filmmakers didn’t really change the story much from the old cartoon version, as that was always one of my favorite Disney movies. When we got back into town on Sunday, we had dinner with several old friends. We ate outside, which was great because the weather that night was perfect for that sort of thing. The following weekend we were in Dallas to see The Toadies. And this past week we stayed in town but were busy doing a little shopping. And I assisted S in making another batch of home brew :). Looking forward to trying that when it is ready! 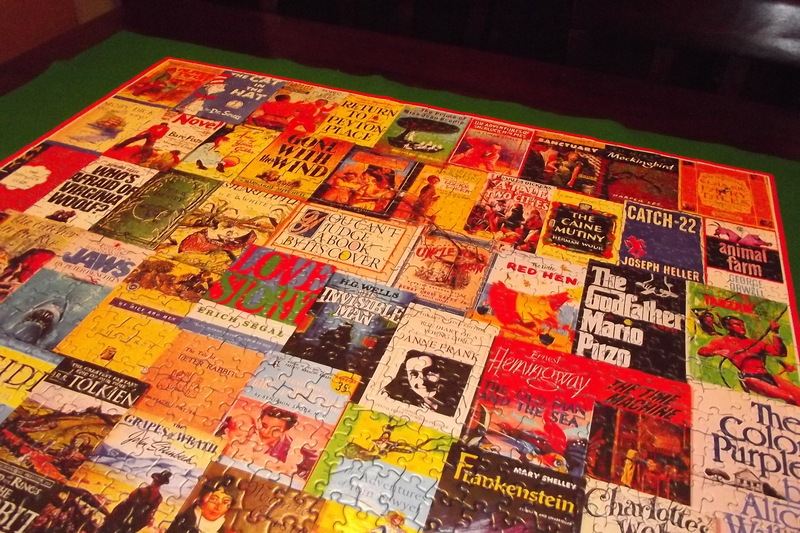 As a kid, I always loved putting together jigsaw puzzles.Recently I started thinking about them a lot and wanting to do one. When I saw this one at the grocery store, I knew I had to try it. I really liked the unique border! 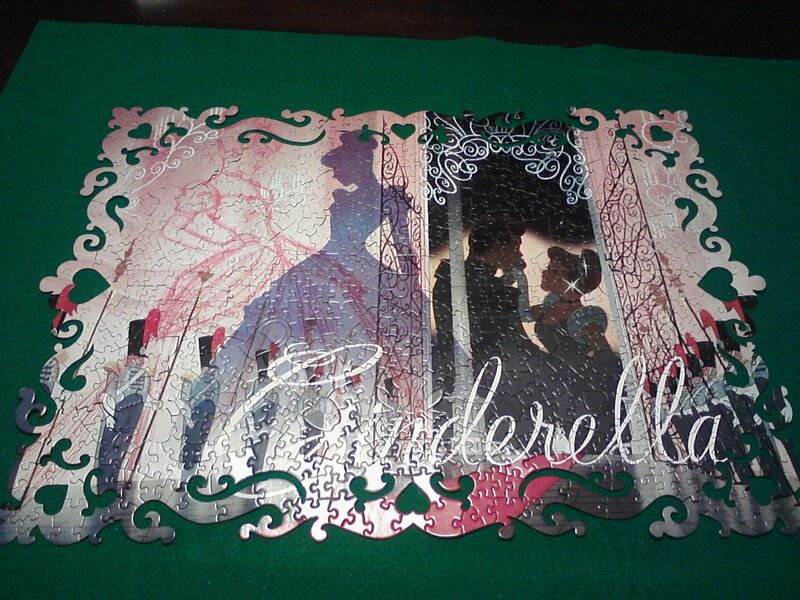 It was bigger than the Cinderella puzzle (1,000 pieces vs. 600) but it came together a lot easier and faster. This was obviously because S was helping me but also, I think, because there were so many different patterns in the design. It seems as though when there’s a large expanse of all one color or pattern, it takes longer to put together. Anyway, I’m happy to have returned to this hobby. It helps me to clear my mind and relax :). Next, I’ve got a Disney Snow White puzzle waiting in the wings (there is one in this series for every Disney princess and she is my favorite)! PS – Hmmm…maybe I ought to change the name of my blog. I seem to have fallen away from posting every week :P. I will try to do better. On Tuesdays, I post a little about what I’m currently reading. I’ve been remiss in posting about books these past few weeks. However, I HAVE been reading a lot. I’ve read 5 books already this month! And I’m in the middle of 3 others. I enjoyed all of them, especially Love’s Fool, which is probably the cutest romance I’ve read in quite some time! 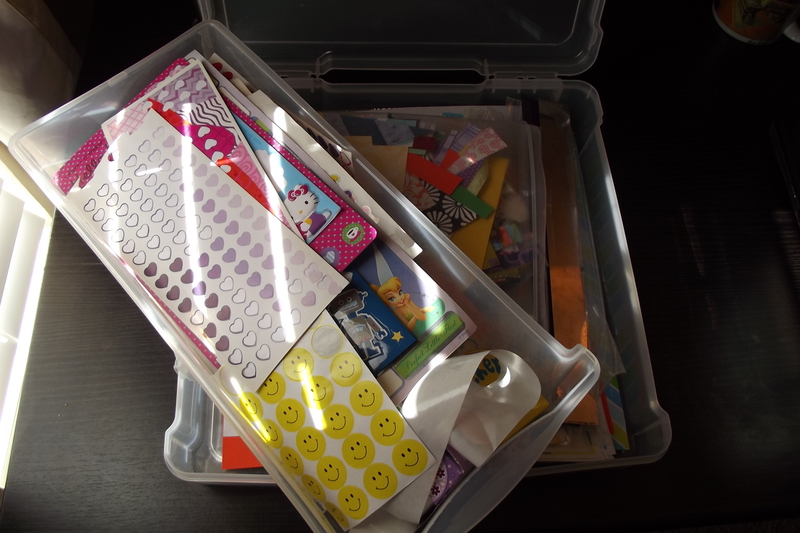 Scrapbooking doesn’t have to be fussy to be fun! For those with the desire but just a little bit of time, money or space, Scrap Simple is the must-have guide for chronicling all the important milestones and moments efficiently and economically. Perfect for beginners and veterans alike, this book makes it easy to give your pages that clean, simple look you want. Sounds good to this minimalist!! 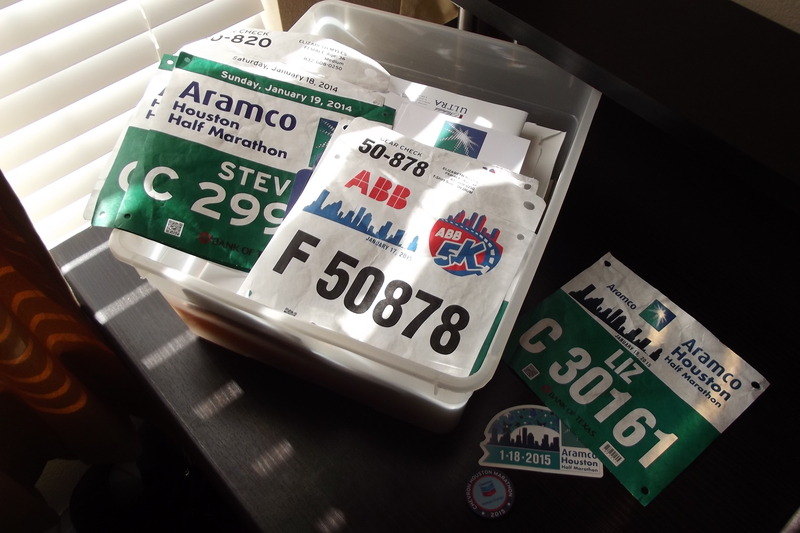 One of my goals for 2015 is to finally start a scrapbook for all of the bibs and other running memorabilia S and I have collected over the years. Right now, it’s all just sitting forlornly in a plastic tub. But I’m hoping to transform this mess into something at least semi-cute. 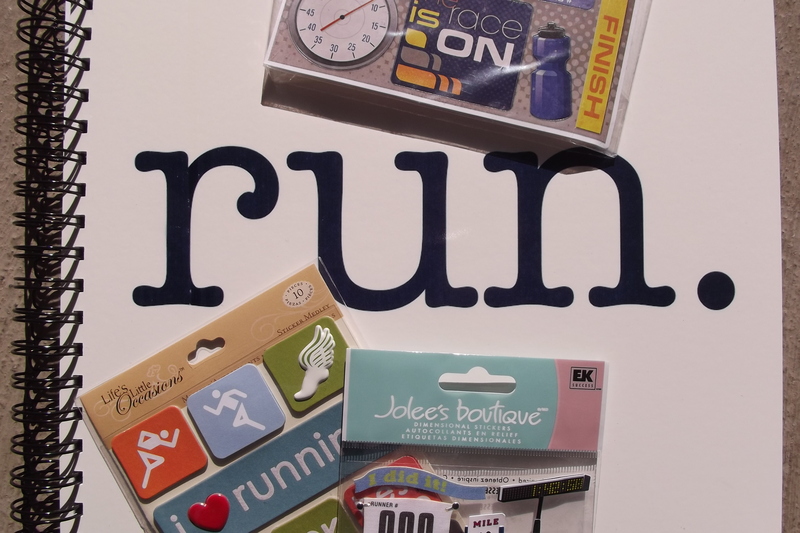 I ordered a memory book and have gathered a few running-themed stickers. I’ve also still got a lot of other paper crafting paraphernalia sitting around, left over from my deco (mail art) days. I knew there was a reason I’d kept so much of this stuff :)! Hopefully I’ll be able to report progress on this project soon.